Malaria is the most common tropical disease. It is caused by the parasite Plasmodium. There are five different species of Plasmodium that can be found in tropical and sub-tropical regions: Plasmodium falciparum, Plasmodium vivax, Plasmodium malariae, Plasmodium ovale et Plasmodium knowlesi. The most dangerous for us is Plasmodium falciparum due to its high mortality rate. Plasmodium vivax and Plasmodium malariae are less dangerous but can cause delayed-onset malaria multiple years later after being exposed in an endemic region. 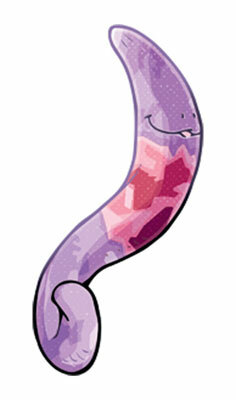 The delayed onset is due to a dormant form of the parasite that can persist inside the liver (hypnozoit). Due to the seriousness of this disease it is crucial that any person travelling to an endemic site consults a doctor prior to the visit and receives appropriate preventive medication. Multiple treatments are available. They need to be taken preventively before, during, and after the travel when going to high risk areas. If you are visiting a low-risk area you should take an anti-malarial medication with you to take in case you have the symptoms of malaria and no doctor available within the next 12 to 24h. More information can be obtained at the travel clinic, urgent care or your doctor. In addition you can consult the following website (1,2,3,4). On the other hand, the World Health Organization (WHO) regularly publishes comprehensive world malaria reports. Rabies is caused by a virus (rhabdovirus) that can be avoided by a vaccine and is almost always fatal once the symptoms occur. 99% of human cases are due to dog bites, but bats can also transmit the disease. 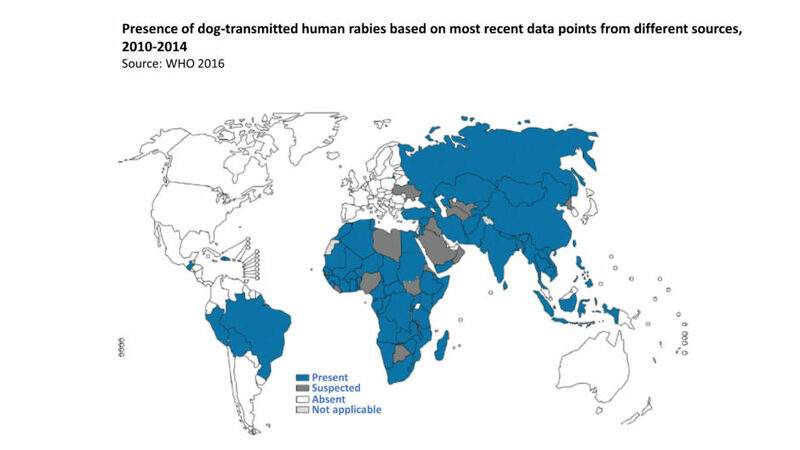 Rabies is present in over 150 countries worldwide and causes ten thousands of victims every year, mainly in Africa and Asia. As for malaria, it is important to be well informed before traveling to a country where rabies is endemic. More information can be obtained at the travel clinic, urgent care or your doctor. In addition you can consult the following websites (1,2,5). The tiger mosquito (Aedes albopictus) is originally from Southeast Asia but has now reached every continent, mainly through the transport of used tires and lucky bamboo. 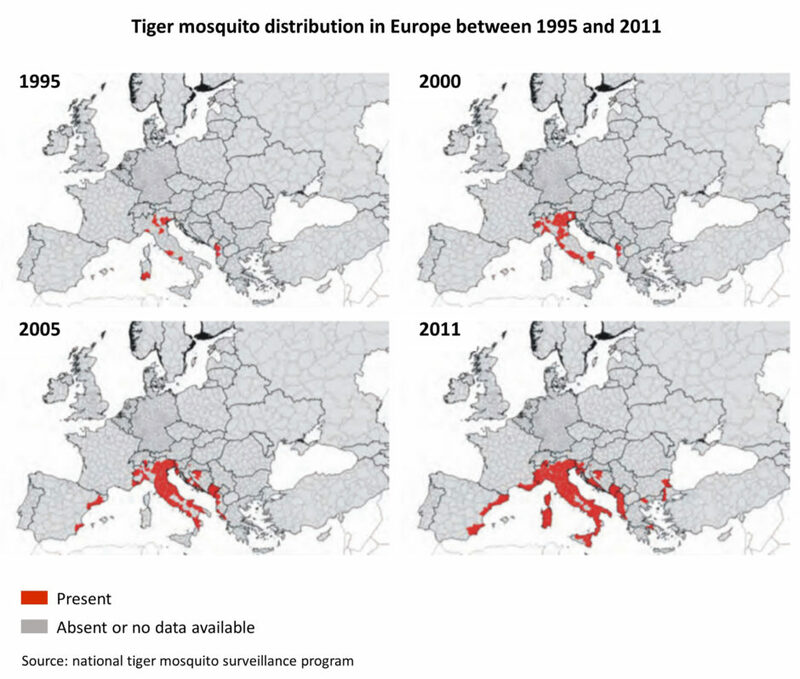 As shown in the maps below, this mosquito is more and more present in Europe (6). In Switzerland the insect has been present in the southern state of Ticino since 2003 and is now considered to be indigenous. It is more and more resistant to low temperatures and its extension continues, even to the north of the Alps. 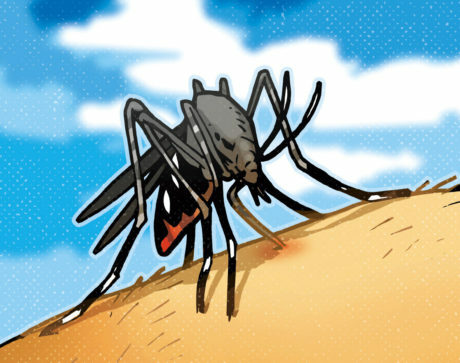 The tiger mosquito can transmit multiple viruses such as Zika, Chikungunya, yellow fever, or dengue. Nevertheless, according to current data none of the mosquitoes in Switzerland is carrier of a disease. 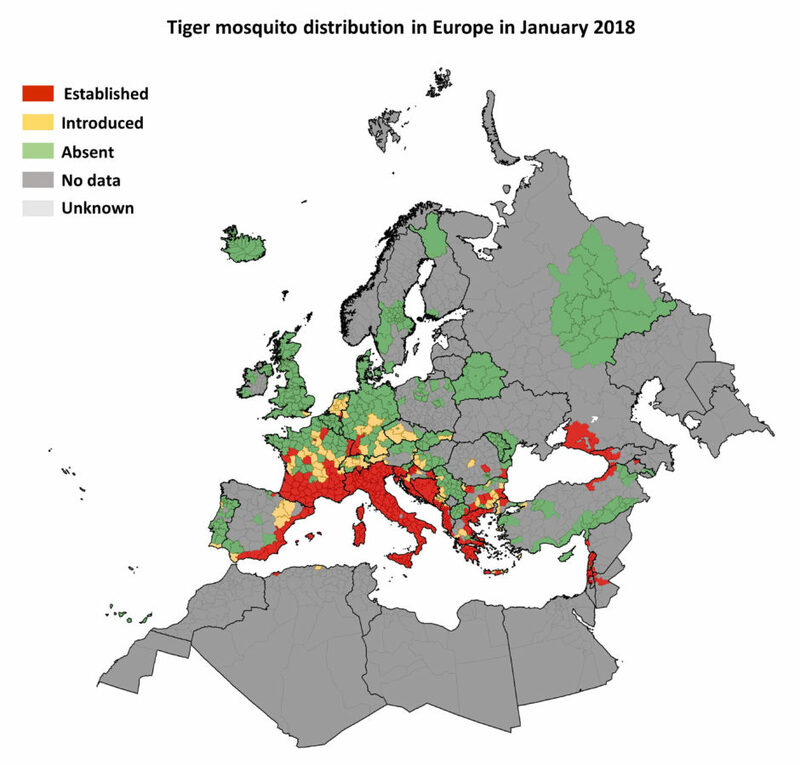 To know more you can read about it in the federal surveillance project overseen by the federal office for the environment (FOEN) « national tiger mosquito surveillance program » as well as the resulting scientific publication (7).